WHEN SOME of us go on holiday, we often search out local markets to find local colour. That colour comes not just from the foods on sale but from the people shopping there, the non-food stores, the music and the banter between stall-holders and their customers. In Dalston we have such a market, and though at times it is busy, it could be busier with the shoppers who take strong ethical stances when buying food. These shoppers often ignore Ridley Road E8 2NP, choosing instead organic, local, Fair Trade, homemade, farmers’ markets food — or pre-packed supermarket products. All these choices are understandable, and I choose to use all of them as appropriate, and that includes the supermarket. 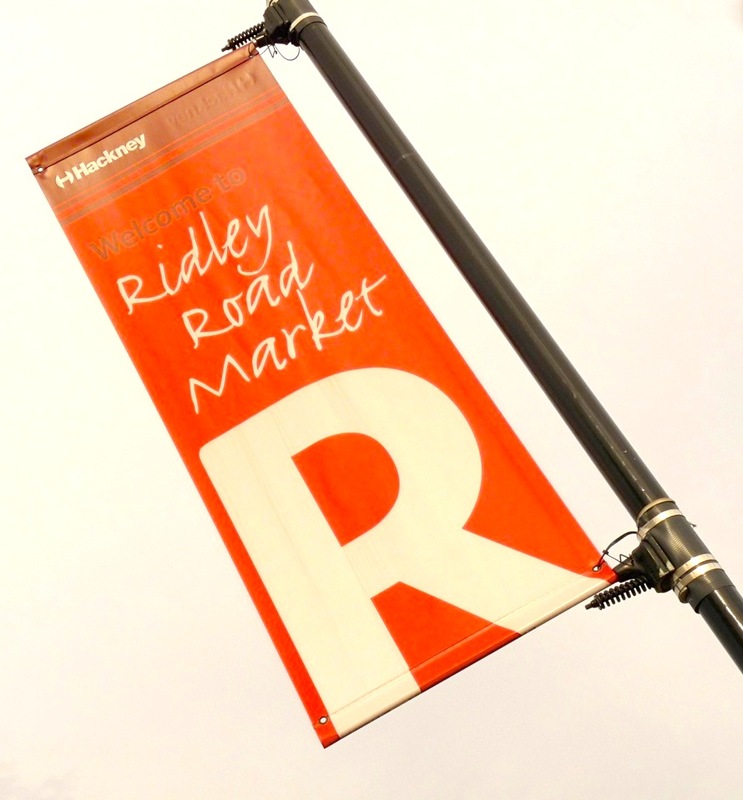 But I try to use Ridley Road market because the stall-holders are a part of Hackney that I believe deserves the support of newcomers such as me. There is an amazing variety of stalls and what they sell is cheap. A lot of the food is local: brassicas from Lincolnshire, asparagus from Cambridge, potatoes, strawberries from other counties and most bananas are Fair Trade. Supermarkets, on the other hand, sell asparagus from Peru, for example, only days before the best of the home-grown crops appear on the stalls. Cutting food miles is a huge environmental benefit. On some stalls you will find homemade, too. A bottle of fiery chilli sauce on a yam stall costs £1. It is local, homemade and at a good price — and from a stall-holder whose father, in the 1960s, was the first white Ridley Road trader to import African and West Indies vegetables. The egg stall sells organic hen eggs and duck eggs at prices lower than some supermarkets’. Best Tuesday to Friday before 4pm. The stall-holders work long hours, getting up early to drive to Covent Garden while most of us are still dreaming. Stalls have been in the same family for several generations. They know their food, too. See an unusual vegetable and the seller will tell you how to cook it. * Every week I shall take £5 to spend in Ridley Road on seasonal food, then tell you what I chose and on Friday publish a seasonal recipe and a few other suggestions. Some of the recipes will be frugal. They will all be tasty. Some meals will need additional ingredients. All will be vegetarian. Does anyone know which stall-holder in the market sells the fiery chilli sauce? I’m looking into local, non-perishable, products that are produced in the borough of Hackney and any other ideas would be greatly appreciated. Miss Shooey advises that Mr Lambert, on the south side at 70 Ridley Road, makes and sells excellent chilli sauce. It will not be available again until next week. You might mention her weekly Loving Dalston column to Mr L. — Ed. Yes, sometimes market vegetables deteriorate quickly. This could be for a number of reasons: they are not refrigerated during the selling hours or have been hit by an overnight frost when in their storage sheds which leads to wilting or blackening. 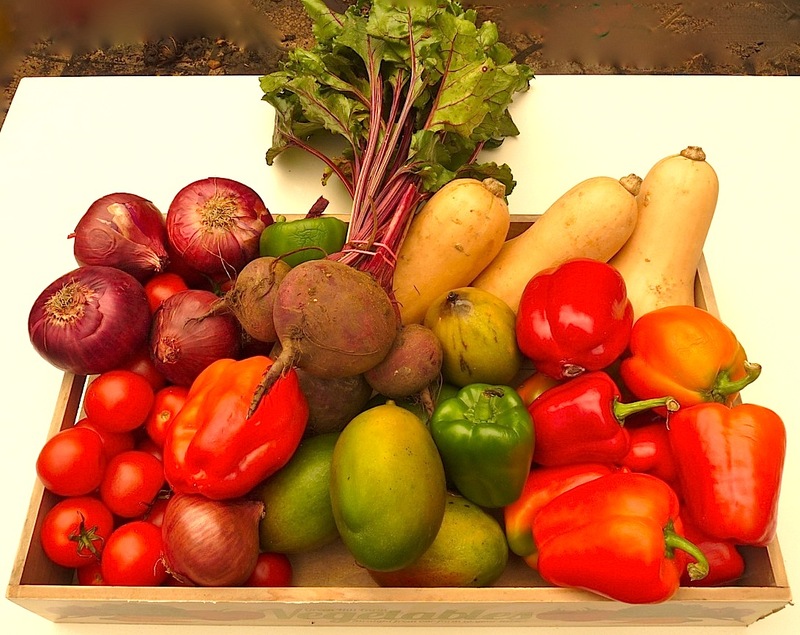 I always look for shiny firm items, such as aubergines that are a lovely shiny purple, peppers bright red, green and yellow with no wrinkles and greens that have not wilted. Most of the market traders sort their produce carefully before displaying it but if you see vegetables that have had sections removed, eg. aubergines tops removed, that is a clue to there having been bruised parts that have been cut away. The vegetable will be cheap but will have to be eaten or cooked the day of purchase. If fruit-fly are hovering over displays, there will be damaged fruits. I always walk through the market from end to end before buying anything, checking prices and quality and thinking about the dishes that can be made from what I see. On the return journey I buy from the stalls that appealed to my tastebuds. I often buy avocados from the Turkish Food Centre at the east end of Ridley Road. There they sell firm fruits which, in a few days, in a warm kitchen or stacked with bananas, are perfect. I agree with all the comments above, but surely the reason, as we all know, that the produce is so cheap, is that it goes off within a couple of days? I love Ridley Road Market. It’s such a luxury to have it at your doorstep for a veg-lover such as me. As a Turk from Istanbul I used to make do with the little shops for Turkish food until my mum discovered the Turkish Food Centre during one of her visits. I still buy the meat and fish from the butchers and the fishmonger in Stoke Newington. What Dalston lacks is a decent bakery, although recently the new Emporium deli and Bird Café have both started selling bread from the E5 Bakehouse. Do you mean the Dalston Emporium, about which this site has written? http://lovingdalston.co.uk/2011/06/hopes-rise-for-kingsland-high-st/ — Ed. My wife and I do our shopping for vegetables and eggs at Ridley Road market most weekends. For £8 to £10 you can pick more than you can eat in a week, including gems such as a 5kg string bag of onions, which will last at least a month, for £2. The first veg stall on the right after the side entrance to the shopping centre is the best (in my view). The egg man and his lovely wife are also great. Walk to the end of the market and you’ll find the Turkish Food Centre. There you can pick up slightly more expensive, but slightly better quality, veg. TFC’s celery, for example, is the best around. There is also a meat counter and bakery. The best thing about the place, though, is that a 5-litre can of olive oil is £15. If you cook every night using olive oil, 5l should last three or four months, perhaps longer. We just fill an old oil bottle, using a plastic funnel bought at Ridley Road market, with oil from the can. The only annoying thing about the market is the Home Counties photography students taking “gritty” photos. They could at least buy an orange. What a rewarding first comment on my first column: thank you, Jon. I, too, enjoy the Turkish Food Centre and my find was two 1-litre bottles of organic sunflower oil for £1.89 — an end-of-stock line. You can find exotic delights in this store at prices far below those of specialist supermarkets. I like Friday evenings when Turkish music is blaring out and shoppers create a buzz of activity and chat. Knowing only a few Turkish words, I have no idea what the songs or people are saying, but I love the atmosphere. During Ramadan the atmosphere is , of course, a little quieter. But no less enjoyable.